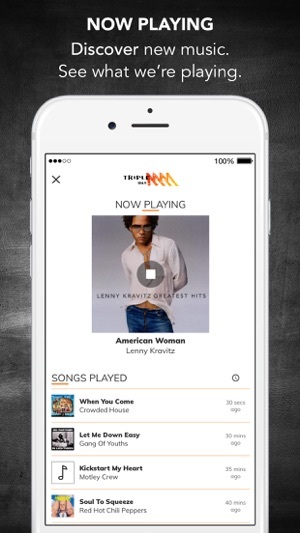 The Triple M Network is Australia's home of the best classics, new rock and the best Footy coverage. With shows from legends like Eddie McGuire, Wil Anderson, Luke Darcy, Mick Molloy, Jane Kennedy, Matty Johns, Mark Geyer, Gus Worland and Roy & HG. 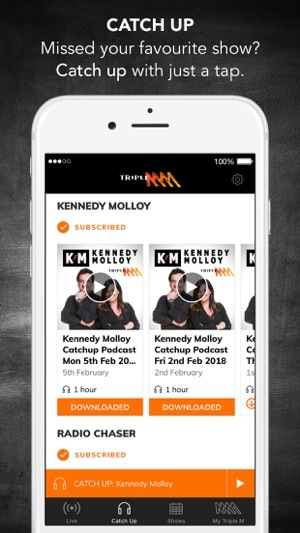 The best way to Listen Live to the shows you love, Catch Up on what you’ve missed or download to listen on the go. - For signed in listeners: you can now update your account details from within settings. - A CarPlay issue has been fixed. 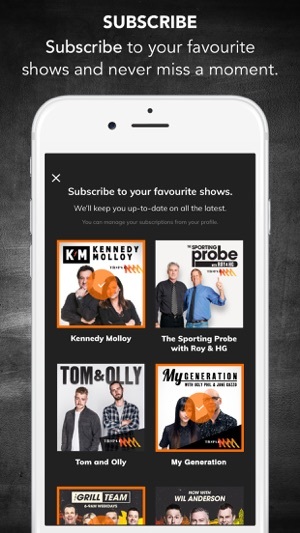 Continue to listen to your favourite shows while you drive. As a traveler I listen via the net. 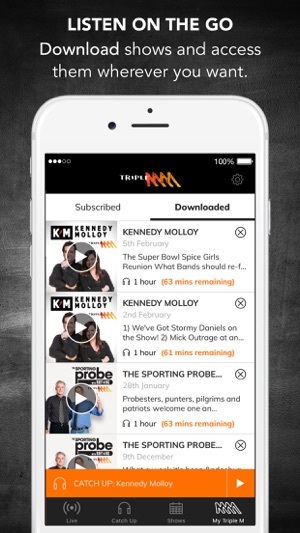 Absolutely love the Melbourne hot breakfast and Kennedy & Malloy. 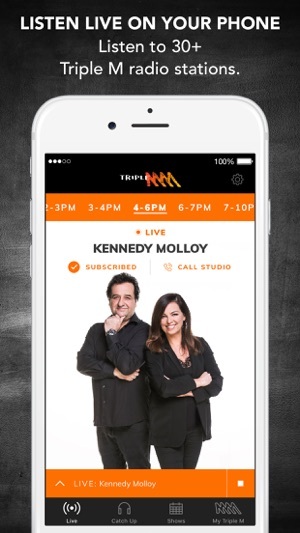 Great chat, great music and very informative.. couldn’t get through the day without a slice of the Ms. One small issue, once again triple m has gone back to replaying the same songs on repeat. This was a problem in the past and disappeared for a short time, but, it’s back with a vengeance. An album usually has more than one track, please play some of the other tracks. Keep up the fantastic work and please try to get the other states to fix their morning shows.